Although January was a quiet time for Startblok, in February there are a lot of things to do! 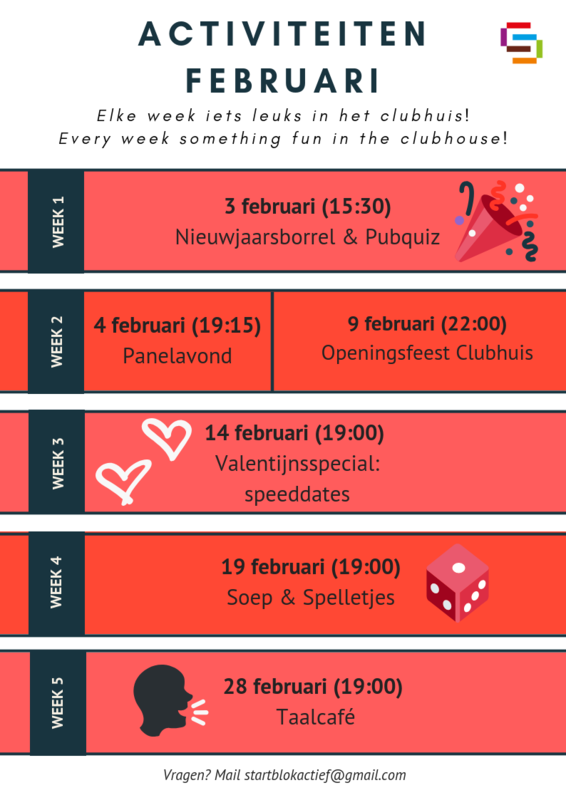 Challenge your fellow Startblokkers in the one and only pubquiz, take part in language lessons or play some games with your neighbours. After renovating our clubhouse it’s time to party!